What constitutes a thorough and comprehensive risk assessment exercise? What are the compliance & industry mandates? What are the core components of such an exercise? In this brief, step through key areas, that must be addressed within the scope of a risk assessment exercise. Compliance mandates & information security standards always require that a risk analysis exercise be performed on a regular schedule. What should the scope & schedule be for such an exercise? Further, in the brief, understand the importance of performing a technical vulnerability assessment as a component of a risk analysis to identify possible security gaps that can be exploited. The risk assessment report identifies the data points for several critical security works including an enterprise security plan. It also establishes gaps in policies and procedures, that must then be updated. The brief describes the remediation actions that must be performed to mitigate risk to the enterprise – this Risk assessment reports provide the input for an enterprise risk management program. The options that exist for treating discovered risks are examined to ensure consistency & completeness provides the foundation for an enterprise risk management program. Mr. Pabrai served as an interim CISO for a health system with 40+ locations in the USA. Mr. Pabrai has led numerous engagements worldwide for ISO 27001, PCI DSS, NIST & HIPAA/HITECH security assessments. Mr. Pabrai has presented passionate briefs to tens of thousands globally, including the USA, United Kingdom, France, Taiwan, Singapore, Canada, India, UAE, Africa, Saudi Arabia, Philippines, Japan & others. Conferences Mr. Pabrai has been featured in include HCCA, ISACA, CSX, HIMSS, InfraGard (FBI), ISSA, HIPAA Summit, Google Privacy& Security Summit, Microsoft Tech Summit, Internet World, DCI Expo. & dozens of others. Mr. Pabrai is the author of several published works. He was appointed and serves as a member of the select HITRUST CSF Assessor Council and a proud member of the InfraGard (FBI). From software and hardware procurement to deployment planning, configuration, data center optimization, IT asset management and cloud computing, SHI offers custom IT solutions for every aspect of your environment. Privately-held and under the guidance of our current ownership since 1989, SHI has experienced tremendous growth in size and scope through neither merger nor acquisition. Our organic growth and two decades of stability are a direct result of backing a highly-skilled and tenured sales force with software volume licensing experts, hardware procurement specialists and certified IT services professionals. 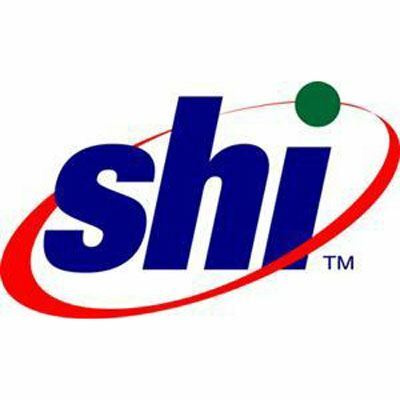 The expertise, dedication and commitment to excellence of each member of your SHI account team have made SHI into the industry-leading, complete IT solution provider we are today.